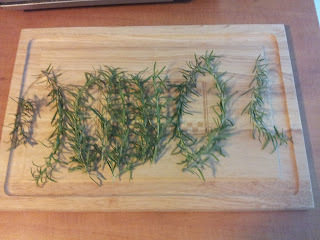 I have an abundance of rosemary growing in my herb garden. 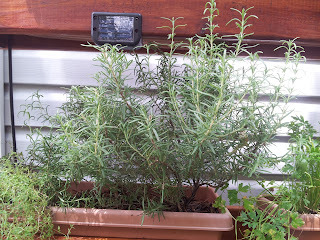 While I'm glad that it's thriving so well, there's not much that you can do with a lot of it at once, since too much in a dish can be overpowering. 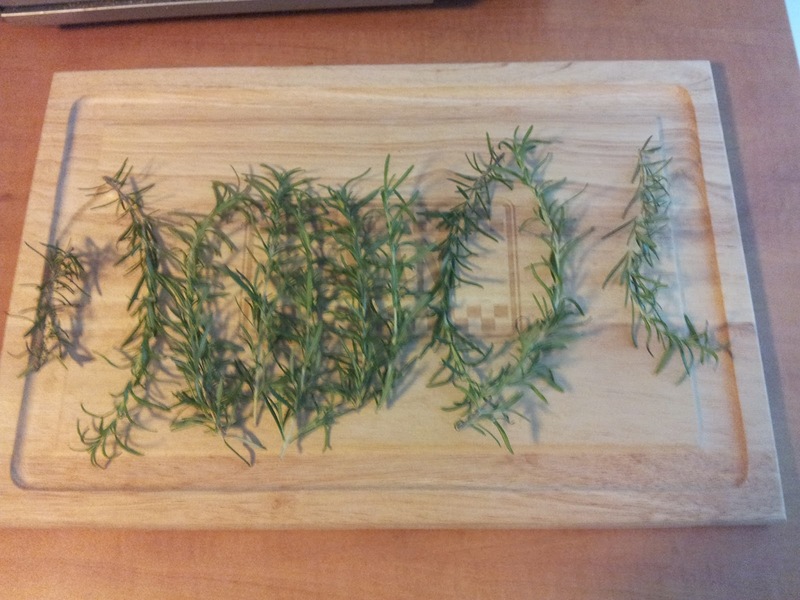 I decided to dry some of it. 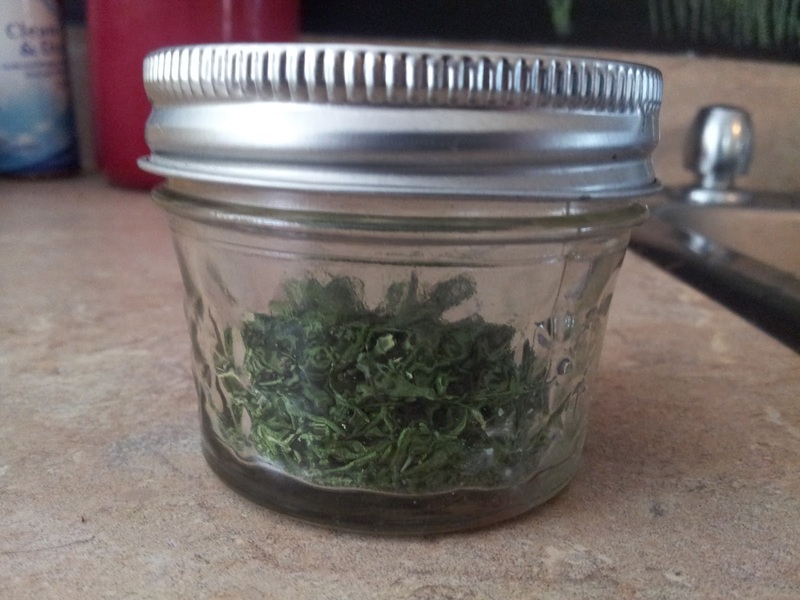 I found a great video online that demonstrates a quick way to dry herbs. 1. 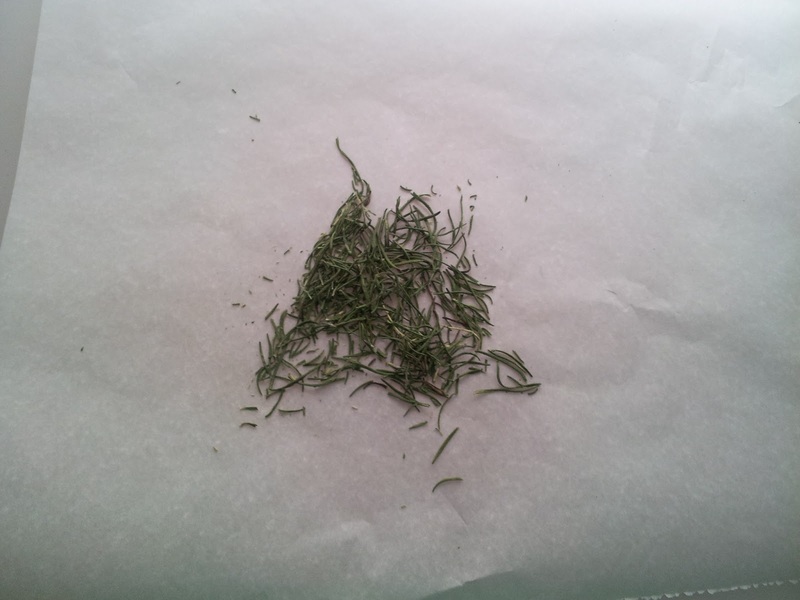 Lay the herbs in a single layer on a paper towel. 2. Cover with another paper towel and microwave for two minutes. 3. After microwaving, the herbs are very dry and brittle. Transfer them to a piece of parchment paper. After microwaving, the herbs are dry and crush easily. 4. 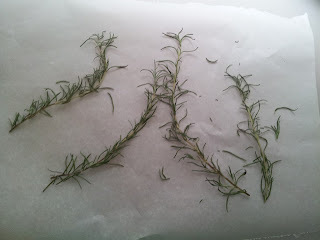 Pull the dried herbs from the stems (they should fall off easily) and crush between you fingers. 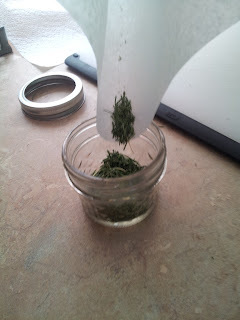 The parchment allows easy transfer to a jar. 5. Pick up the ends of the parchment and transfer the dried herbs into a clean, dry container. 6. Store, tightly sealed, in a cool, dark location.